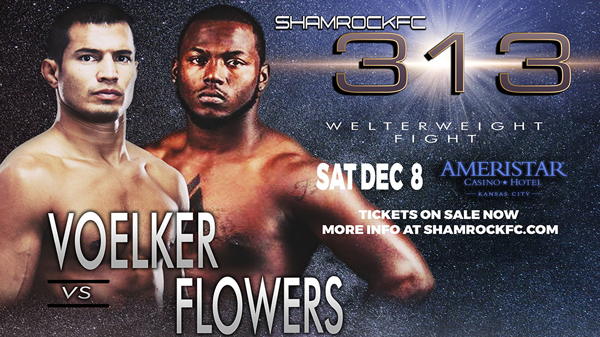 Closing out a busy 2018, Shamrock FC ends the year at Ameristar in KC on December 8th. 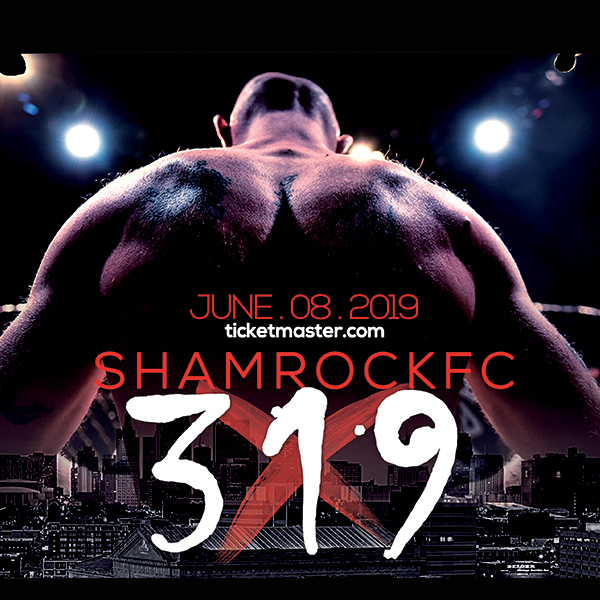 SFC matchmaker Rob Donaker has left a few presents under the tree for KC fans, with the return of one of the Midwest's most prolific pro fighters, a heavyweight match-up that should produce fireworks, and a bantamweight bout that could steal the show. In a fight that most certainly won't go to the judges, Bobby Voelker (31-13) once again takes the main event honors facing a red-hot Darris Flowers (6-2) in a welterweight match-up. In June, Voelker notched his 31st victory making it 7 out of 8 since exiting the UFC in the summer of 2014. With only his scrap with Zak Bucia breaking his streak, Voelker has been dominant in his return to the Midwest regional scene. Six of Voelker's wins have come by TKO, with nearly all of them requiring Voelker to reach deep to find a win. In his last outing against Justin Demoney, Voelker suffered a leg injury in the first round from a kick to the knee that had Voelker hobbling through the round. In the second, Voelker went for broke and was able to catch Demoney on the chin, dropping him and forcing him to turtle, from there it was academic. Voelker won't have an easy night, as "Beastmode" Flowers has won three straight, all in violent fashion. Fighting out of Chicago, Flowers has won four out of five in the past 13 months all by way of first round TKO. At 24, Flowers will have a serious age advantage over the 39 year old Voelker, but as Kansas City fans know, there's plenty of bark left in the old dog. This year started off strong for bantamweight Dillon Tolbert. The 26 year old from Missouri's state capital picked up wins over Raul Romero and Dan "Johnny Irish" O'Connor in February and March, but since then, Tolbert has been on the shelf. Tolbert will have his hands full on the 8th taking on the "Gerberbaby" Jacob Thrall. Thrall has tightened up his submission game, winning back-to-back fights via rear naked choke including an upset in April over Dusty Kramer. Both have fought Kramer with only Thrall finding the win, and you would have to give Thrall the nod as the favorite going into this one. Featherweights Horacio Escobar and Drake Heitfield will square off in a feature bout. After starting his pro run at 4-0, Escobar took a bit of a slide losing two straight. This will be his return to the cage after a nearly three year layoff. Escobar's opponent Heitfield won his pro debut in September of 2017 in spectacular fashion, but hasn't competed since. Kicking off the main, pro card are heavyweights Kirk "Big Country" Grinlinton and Cesar Gutierrez. Gutierrez only needed 48 seconds in his pro debut in April to find his first victory, a loss in September evened his record at 1-1. Grinlinton will look to rally from a 3-fight skid, and will most certainly be hungry for the win. On the amateur side of things Zach Scroggins and Issac Lyons will face off for the SFC Amateur Middleweight title. The winner of the bout will get a guaranteed SFC pro contract, and a three fight deal with the company. A pair of amateur kickboxing bouts round out the preliminary card as Connor Shepherd faces Edwin Row, and Kayla Williams takes on Laura Bauman. The entire event will be streamed on FloCombat and tickets to the even can be obtained from the Shamrock FC Store.